Celebrated as the birthplace of reggae, renowned for its friendly people, and praised for its natural beauty, Jamaica is the perfect destination for those in search of a tropical oasis to explore. Relaxing on the beach, visiting the spa and dining in Jamaica’s finest restaurants is a must do for couples at Couples Resorts. However, for those looking for something spectacular to get their hearts pumping, here are the best excursions in Jamaica for adventurers. Imagine a horseback ride through lush mangroves, evergreen mountains and the beautiful Blue Hole Estate as you and your partner make your way towards a tranquil beach. There is no better way to experience the beautiful countryside of Jamaica. This guided tour will tell you about the history and culture of this captivating island. During this two-and-a-half-hour tour, you will ride through tropical rainforest and even take your horse on a swim in the warm waters of the Caribbean Sea! The best part about this tour is everyone can do it – no experience is needed! 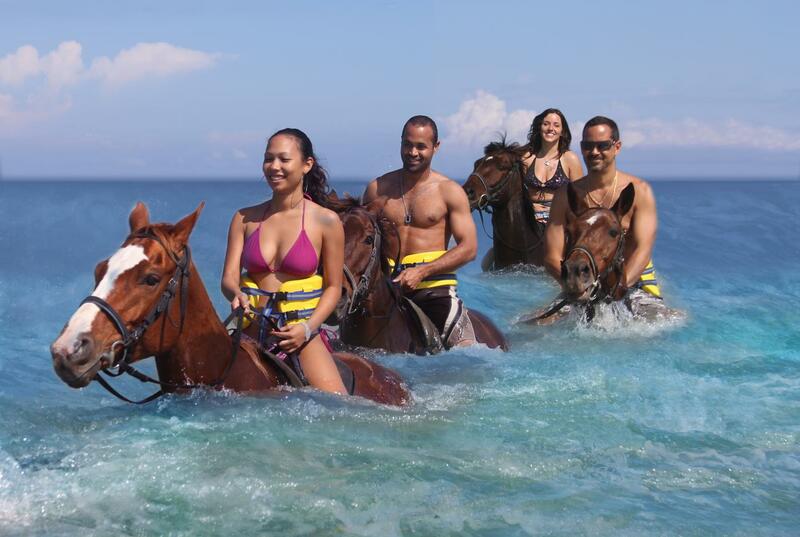 The well-trained horses and attentive guides will ensure you enjoy the best horseback riding Jamaica has to offer. This adventure is comfortable and enjoyable, as well as a unique opportunity to experience the remarkable views of Jamaica. If you want adventure, this Chukka Canopy Zipline Tour is for you! Feel a rush of adrenaline as you soar through a canopy of trees on this tropical outdoor adventure. Enjoy a breath-taking view of Jamaica’s forest and wildlife on a series of zipline rides. 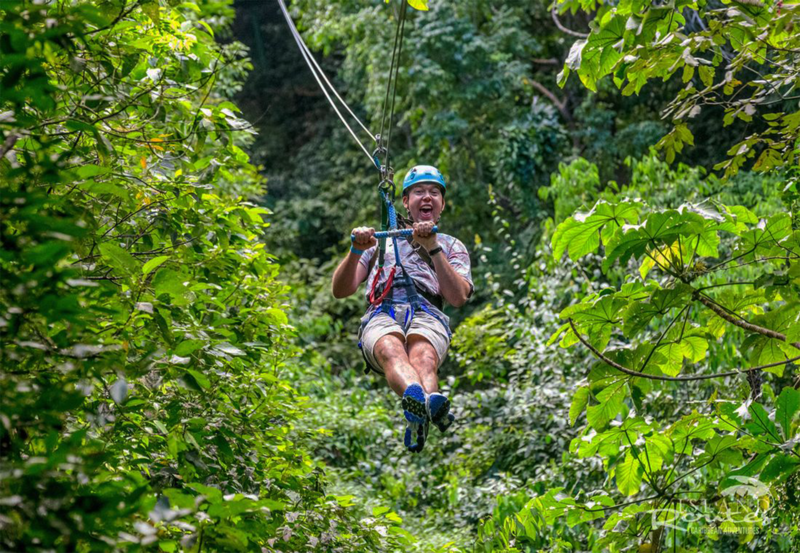 Starting in the heart of the jungle, you will fly along ziplines and rappel through the rainforest, over river canyons, and across mountains. Hear the rushing waters as you sail over the various rivers. It’s the only zipline canopy tour of its kind in Jamaica! 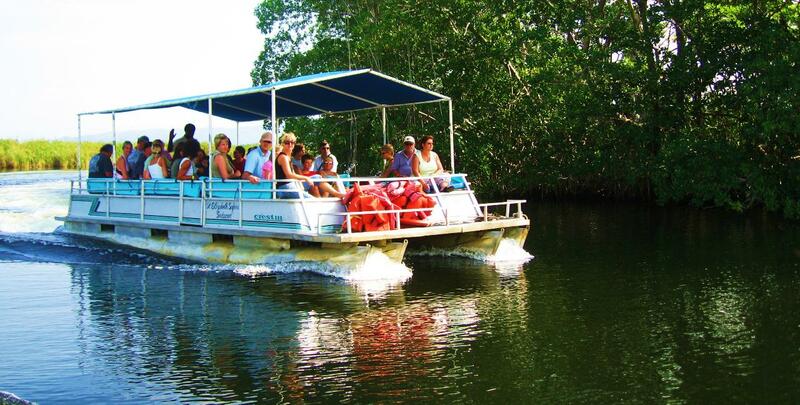 Spot peaceful American crocodiles on a Black River boating adventure and splash beneath the breath-taking Y.S. Falls. On this Black River Safari and Y.S. Falls tour, you will be in the middle of one of the most impressive displays of nature in Jamaica — waterfalls, mangroves, reptiles, birds, sunshine, and more! Sail along the Black River through lush rainforest, then take a scenic drive through awe-inspiring nature to reach Y.S. 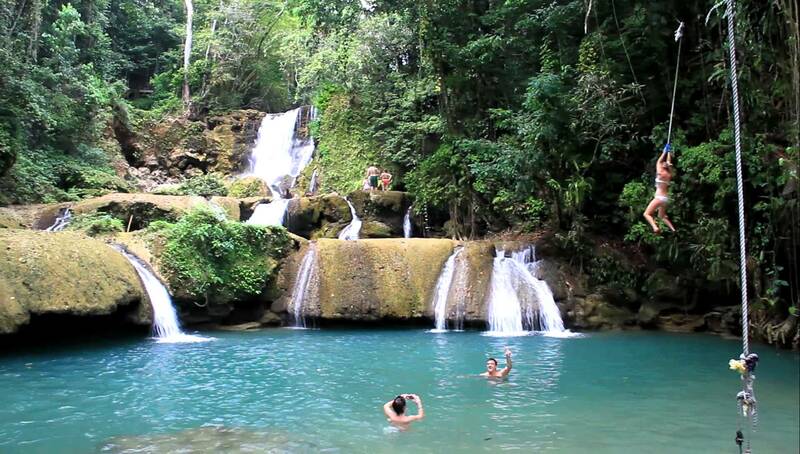 Falls, one of the most stunning natural spectacles in Jamaica. Looking for the perfect all-inclusive holiday to Jamaica? Tweet us @CouplesUK for more information.